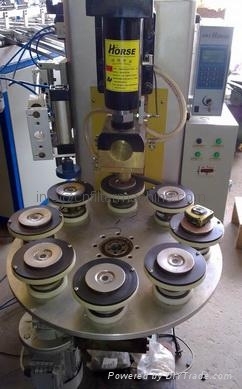 This machine is used to weld the bottom plate and the sealing cap, safety valve, bypass valve etc together. Multi-workstation is an option. 1.The welding time is fast and efficient, but quality is high and reliable.